International Women's Day (March 8) is a global day celebrating the social, economic, cultural and political achievements of women. So I thought I’d take the time to outline some of the women I have admired most and celebrate their social, economic, cultural and political achievements. But also look at some of the women my young boys already know have contributed to our history; and also which women influence the influencers - I asked other mum and dad bloggers about their favourite historical female characters. International Women's Day marks a call to action for accelerating gender parity. 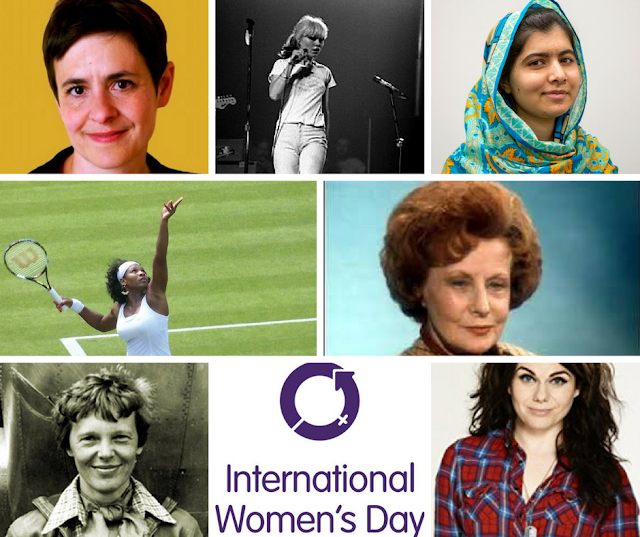 International Women's Day (IWD) has occurred for well over a century, with the first March 8 IWD gathering supported by over a million people in Austria, Denmark, Germany and Switzerland. Prior to this the Socialist Party of America, United Kingdom's Suffragists and Suffragettes, and further groups campaigned for women equality. 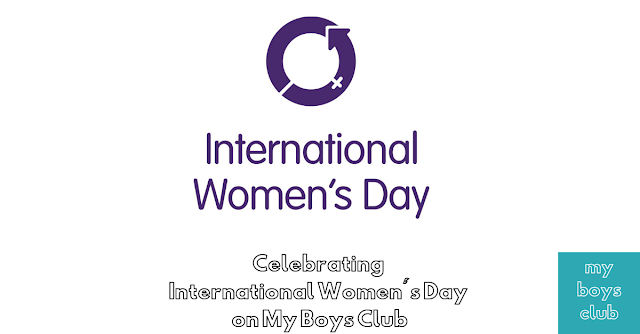 Today, IWD belongs to all groups collectively everywhere. IWD is not country, group or organisation specific. The International Women's Day 2018 campaign theme was #PressforProgress. Individually, we're one drop but together we're an ocean. The theme for International Women's Day 2019 is #BalanceforBetter. The 2019 initiative is aimed at gender equality, a greater awareness of discrimination and a celebration of women's achievements. This blog is my way of supporting #BalanceforBetter, and celebrate women's achievements so hopefully, it may influence others' beliefs and actions. This list could have been far longer but here are seven that come to mind straight away. Caitlin Moran – Have you read her columns, her tweets, and her books I just love them. I love the honesty in her writing and because her books are so funny. Really natural when interviewed too. Barbara Castle – A women who had a radical, independent spirit and was an extraordinary pioneer for women in politics. A passionate campaigner for the rights of women and all other disadvantaged groups in society, who was as an MP for 34 years is remembered for the breathalyser, equal pay and giving pensioners a fair deal. However, all this was at a time when even becoming a female MP was a very rare achievement in itself. Malala Yousafzai – I’m not sure there will be a more inspirational woman in my lifetime. After being shot in her home country for speaking out for the education for girls, Malala survived and went on to win the Nobel Peace Prize at the age of 17. She said ‘I don’t want to be remembered as the girl who was shot. I want to be remembered as the girl who stood up.’ I love this attitude and hope my boys have it in them too. Amelia Fletcher – My teen girl crush was on Amelia Fletcher of Talulah Gosh and Heavenly. I love how she is a jingly jangly indie pop star and an academic. How cool is that? If you haven’t heard her stuff it’s worth a listen. Serena Williams - Art from being totally in awe of her talent and what she has achieved, I so love how Serena has remained feminine, totally supports other women and is now juggling motherhood whilst continuing her career. A totally inspirational woman. I am very lucky to have studied at Birmingham Centre for Cultural Studies in the 90’s. Founded in the 1960’s, the Birmingham Centre for Contemporary Cultural Studies pioneered the analysis of popular culture, subcultures, race, gender and the mass media. The Centre operated at the intersections of literary criticism, sociology, history and anthropology but rather than focus on ‘high’ culture, it researched areas of popular culture such as chart music, television programmes and advertising. My finals included the study and analysis of Thelma & Louise and Bladerunner, Russian punk culture, racial stereotyping in soap operas. This approach of looking at culture was so different to conventional academic practice. However, the Centre showed that popular culture was not only worthy of academic study but often also politically significant. It showed, for example, the importance to young people of subcultures based around style and music, the ideological influence of girls’ magazines over their young readership, and why a ‘moral panic’ over the presence of black communities had evolved in 1970s Britain. It was all very valuable learning and which has played a big part in my own values and ideals. It was during my studies that I discover the concept of ‘herstory’. Although not intentional in the original Greek derivation of the word, history has traditionally been written from a masculine point of view, and often writing women out of history. Herstory then is a story written from a feminist perspective, emphasizing the role of women, or told from a woman's point of view. It doesn’t write men out of history, just included everyone regardless of gender, class and race. Search the internet know and you can discover that it was women that invented the computer, the ice-cream maker, the first 100 percent solar-powered house, Stem cell isolation, the life raft, DNA double helix and even monopoly. Then you read some more and discover that many of their inventions were originally attributed to men. 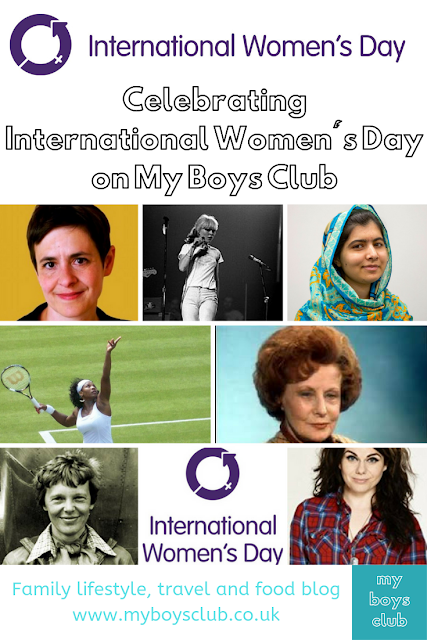 So as it is International Women's Day this week and I thought I’d ask my boys about women they had learnt about at school or from TV shows and books such as Horrible Histories. The results actual really pleased me. Yes, when I went to school we did learn about Grace Darling and Florence Nightingale, and Anne Frank, but they were portrayed such exceptions to the norm. Boudicca as she was mentioned in my Latin books but not in history lessons. My boys are only 8 & 10 years old and they already have such a better understanding of the contributions that both men and women make to society and have to our history than I did at their age. That may be a failing of my school or indeed representative of my age. Not only could my boys tell me names of women they had seen on film, read about and studied, but these were women that as I child I really didn’t know about … hopefully, this means things are changing. 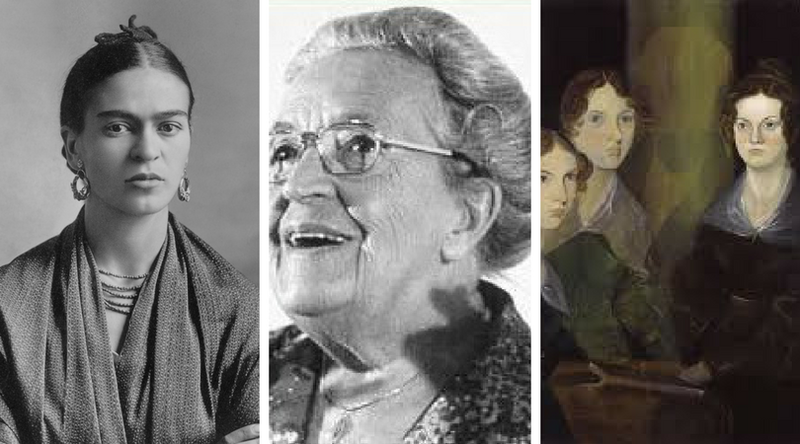 So who are these women being re-written back into history in our schools? Rosa Parks is an American civil rights activist who the boys have learnt about at school. Her refusal to give up her bus seat in Montgomery, Alabama, indirectly led to some of the most significant civil rights legislation of American history. Boudicca who the boys have learned was an inspirational leader of the Britons. She led several tribes in revolt against the Roman occupation. Initially successful, her army of 100,000 sacked Colchester and then London. Her army was later defeated. Marie Curie won two Nobel Peace Prizes – in 1903 and again in 1911 – but had to battle sexism throughout her entire career. I’m very pleased to see that she is on the curriculum. Ada Lovelace my boys have learnt was an English mathematician and writer, and know that she is regarded as the first person to recognise the full potential of a "computing machine" and the first computer programmer. The Suffragettes has been high on the agenda for my boys this year. They know the names of a few. They recall seeing the Votes for Women sashes across the women in Mary Poppins are also know that Emmeline Pankhurst was a British political activist and leader of the British suffragette movement who helped women win the right to vote. Grace Hopper is someone I’m not all that clued up on but my boys have heard of her and how she was a pioneer of computer programming as well as an esteemed mathematician and military leader. I learned some more about her in my youngest's school books! As well as my day job, by virtue of this blog, I am also labelled as an influencer. Family bloggers and are a growing tribe of parents, men and women, who blog about the things that matter in the world to them. 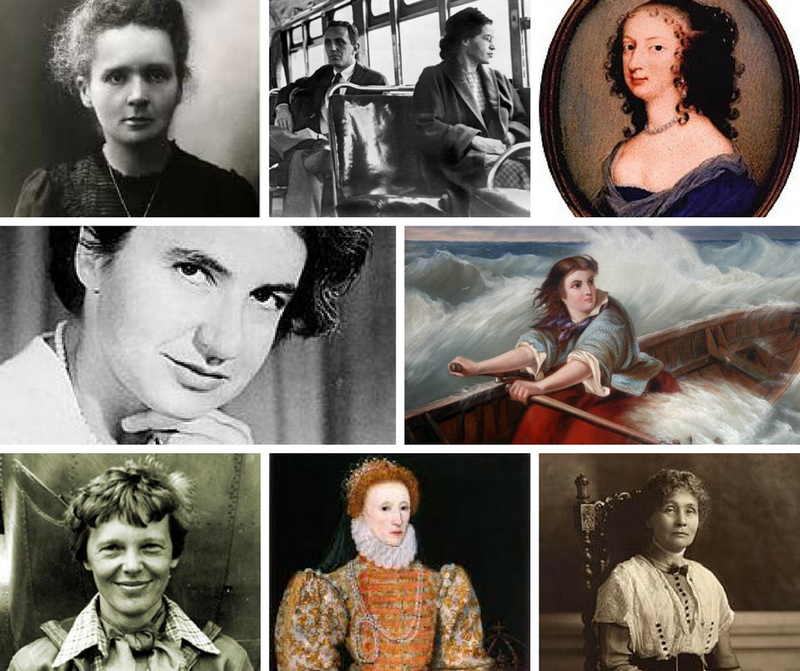 They are not journalists writing for the media, but self-publicists writing their opinions, thoughts, and articles on a regular basis, which are read by many parents out there in the world, so I thought I’d ask a few just who the women in history are who they most admire, why and how they learnt of them. Jennifer says "Marie Curie - who won not one but two Nobel prizes despite fighting sexism on a daily basis. I remember doing a session on inspirational women when I was at girl guides and she was one of the ones that really stuck with me." Becky says "Rosa Parks - My mum told me about her ... how this brave woman refused to move on the bus and accept black white segregation and how this led to the bus boycotts and a gave impetus and to the huge civil rights movement that impacted so much on black people rights. It made me believe it just take one strong voice." Nyomi studied her inspirational woman as part of her history degree. She says "Margaret Cavendish, the first duchess of Newcastle, was one of the first women to publish books in her own name and was a very intriguing character, flouting a number of social conventions." Pete says "Amelia Earhart. I only found out about her in my 20’s through a TV program. She was the first female aviator to fly solo across the Atlantic Ocean. I love flying and think that’s makes an amazing feat today, let alone 80 years ago. It should be covered more in schools." 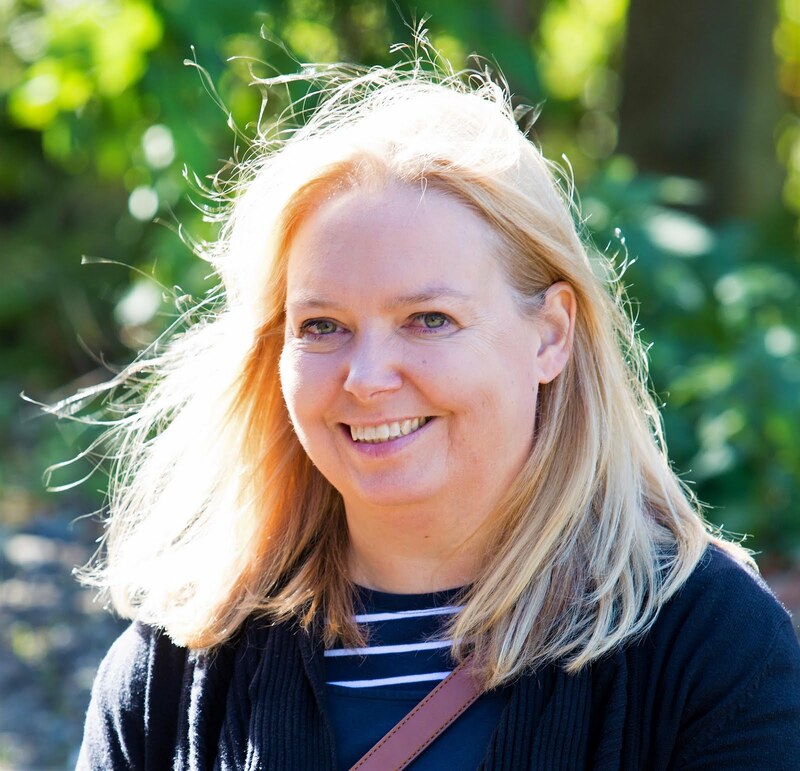 Kate says "Elizabeth Tudor - we learnt about her in school and I remember thinking even then how amazing it was that she decided against marriage to dedicate herself to ruling the country. Even at that age I understood what a big deal that would have been in those days." Samantha says "Rosalind Franklin - who did all the work that allowed Watson and Crick to discover the structure of DNA (one of the most important discoveries of all time), and never ever given enough credit as she died before the Nobel Prize was awarded (Nobel prizes are not awarded posthumously). I learnt about her in school!" Éva says "Rosa Parks for me. She was an emblematic member of the civil right movement and she was leading the Montgomery Bus Boycott. Her famous act was when she refused to give up their place on the bus on the section reserved for white people (after he coloured section was filled). It was an incredibly brave act. I learnt about her during my college years - funnily enough, from my best friend’s boyfriend, who was into very early rap music and black culture in those days. It’s amazing how popular music is always connected to a certain era and all its social and political issues." Kati says "Valentina Tereshkova - first female astronaut in space, beating 400 others to it in the end. She had to go through extremely tough training, overcome her own physical issues and her proletarian background to fit the role. I was born into what used to be the Soviet Union, so any achievements were mentioned at an early age. The street my grandparents used to live in was named after her, so I have known about her for as long as I can remember." Kim says "Ada Lovelace - she invented the first ever computer programming language. I learned about her while at university (studying a computer programming degree)." Rachel says "Queen Elizabeth the First - She was a feisty lady and the complete epitome of girl power. I’ve always had a fascination with her since I read about her in my Kings and Queens book I had for my 5th birthday, but I read a biography of her when I was a teenager and that lady had balls!" Emma says "Emmeline Pankhurst - everyone should use their right to vote!! I learnt about her at school and my old school now names all the houses after famous influential women which I LOVE!" Janet says "Grace Darling - In 1838 she saw a shipwreck near her home and rowed a mile out in the storm with her Father to rescue sailors. I learned about her very early in Primary school and the story stuck with me because that was when I learned the word "heroine", and I've looked out for heroines in the world ever since." Luschka says "Corrie Ten Boom - who helped hide Jews in her house, lost her whole family in a concentration camp, and afterwards spoke about and taught forgiveness. It's really inspirational how she lived after everything that was done to her. She's was a big deal in the very religious circles I grew up in. I read her book The Hiding Place when I was about 8. I also went to her house in Haarlem a few years ago." Rosemary says "I was born in the same village as Charlotte, Ann and Emily Bronte and now live where they later lived. My house overlooks theirs. It’s mind blowing that three sister at that that time in history when they were women had so success and are still talked about." Phill says "it has to be Frida Kahlo. Disabled but had huge plans for her life and made them a reality with her vision and creative artwork. Inspirational and one which I’ve passed on to Dorothy. I learnt at her at school." Carol says "Hands-down Emmaline Pankhurst. I found The Suffragettes incredibly awe-inspiring in History. It was a dangerous move back then and I admire everything about her. Disclosure: I am very pleased to say that IWD has granted me access to the IWD Logo for the purpose of promoting activity related to progressing women's equality. This is my favourite post of yours to date. Well done Debbie! Thanks for including me. 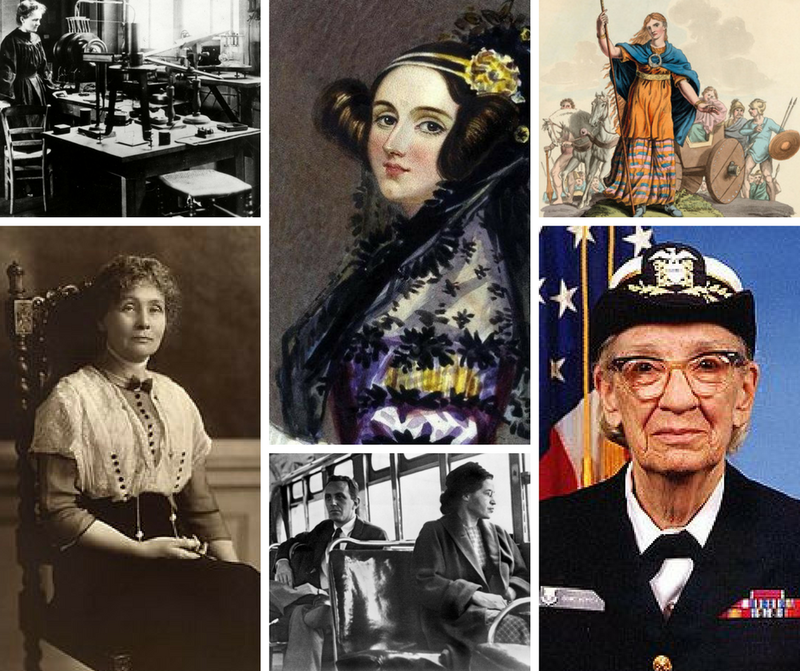 This is such a brilliant post :) Thank you so much for sharing so many amazing women and their achievements and contributions to our world. I hadn't heard of Herstory until 2012 and it was such a shock to realise how little I knew about women in history until then! Having said that, I did know a fair bit about Valentina Tereshkova as I studied in Yaroslavl' a couple of times, the first in summer 2003 (which was 40 years after her flight!) There were banners up about her, which was really wonderful to see as it made me aware of something I had never known!